Fondazzjoni Wirt Artna will be holding Malta’s first ever multi-period horse show. 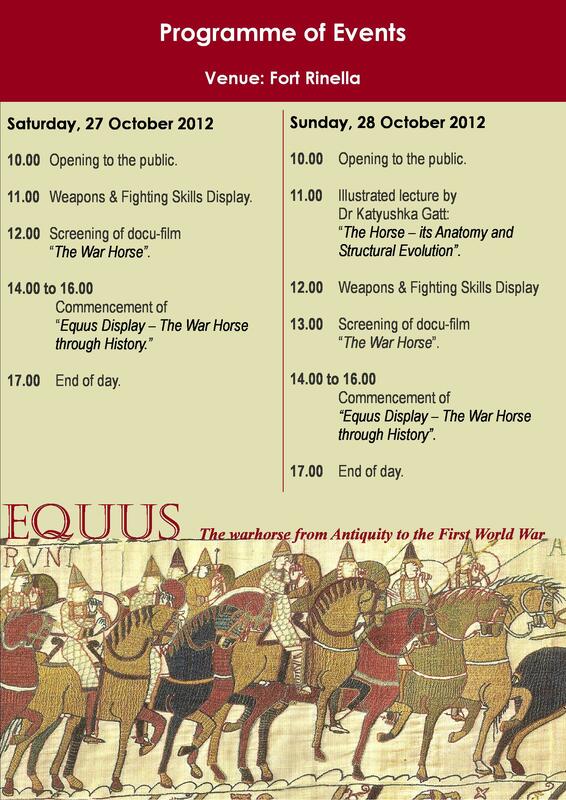 This event will recreate the historic evolution of the war-horse which covers a period of around 2000 years. It will start with the mounted warriors of ancient Egypt, Greece and Rome. Then it will progress to the armoured knights of the Middle Ages and the Renaissance. Finally there will be the modern troopers of the Napoleonic Wars and Victorian Age together with the gallant, yet obsolete, cavalry of the First World War. The event will feature a gathering of twelve horses ridden by some of Britain’s top equestrian heritage performers. 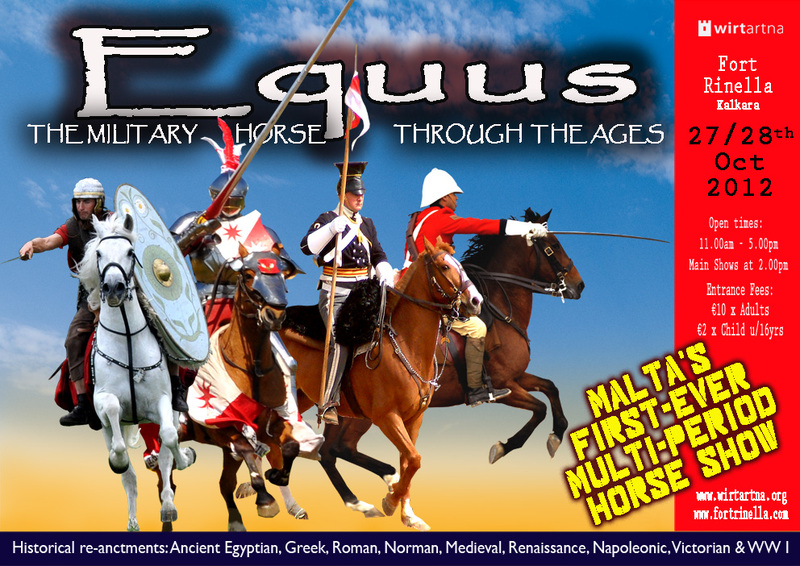 Besides showing different types of dress, equipment and weaponry as used on horseback throughout the different periods portrayed, they will also demonstrate the various fighting skills, tactics and methods used in battle over time. Hair-raising trick-rides and acrobatics will also be performed in between displays. In addition to the above, there will also be guided tours of Fort Rinella, viewing of historical films, weapon displays, fighting skill demonstrations, supervised pony rides and archery for children, and lectures on equine subjects. The main display will start at 2.00pm. Food and beverages will be available on site throughout the day. 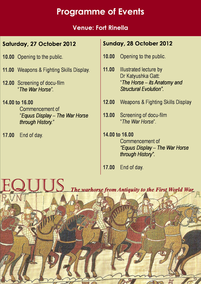 The event will be held at the new display arena at Fort Rinella, Kalkara, on Saturday 27 and Sunday 28 October 2012 between 11.00am and 5.00pm. The entrance fee is the same as for visiting Fort Rinella on normal days, i.e €10 for each adult. Children under 16 years of age benefit from a specially reduced rate of only €2 each. FWA members will enjoy free entrance to the event on presentation of their valid membership card. All proceeds will go towards the continued restoration of the historic fort. Reaching Fort Rinella is easy both by private car and public bus - No. 3 from Valletta which stops directly on the doorstep of Fort Rinella. Free on presentation of their membership card, as long as it is still valid.